Get your pencils and scantrons ready, Apaches! It’s that time again. Time to hit the books and start prepping for Finals week at Tyler Junior College. There are only 5 weeks left in the fall semester and Finals is coming up sooner than expected. Here’s some information that you need to know to prep for your finals exams. 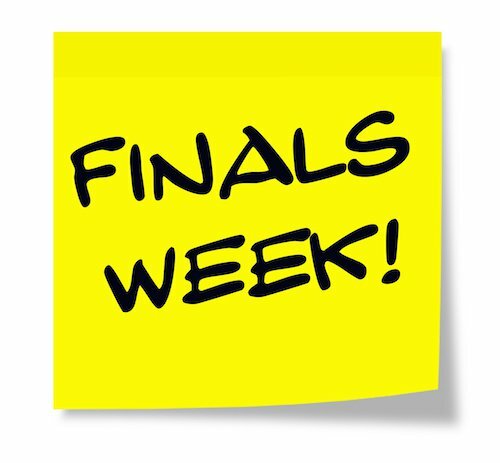 Thursday, Nov. 15 TJC will be having a Finals Prep Workshop in the Quest Classroom in Vaughn Library from 2 pm to 4 pm. This workshop will provide students with tips and tricks to help promote success during final exams. Topics will include study skills, time management, electronic study aids, and organization strategies. Free to all TJC students, and a sign-in sheet will be available. Final exams start on Dec 6th and will run until Dec 12th. Finals Week can be a very stressful time for any students. Huffington Post says that it is key for students to find a way to de-stress during Finals week. The article suggests that students should do activities like include art therapy, bead buddy making, crayon art, henna, and more. Students should also eat nutritious meals and snacks. Students can also exercise, get a good night’s rest and plan study groups with friends. The most important thing for students to remember is to not procrastinate, turn off your Internet and focus on studying for your exams.